I am SO excited to be sharing this awesome book review with you all!! I recently had the opportunity to pre-read The Nurses: A Year of Secrets, Drama and Miracles with the Heroes of the Hospital. I was told prior to reading it that it was written by award -winning author, Alexandra Robbins who explored sororities in her bestseller Pledged. I was immediately intrigued, but a little skeptical how a non-nurse would view our unique profession. Wow – did that skepticism immediately melt away. Instead, I found a book that had me from the very first chapter. I was completely intrigued and actually mystified that a non-nurse could truly capture the essence of being a nurse. One of the hardest adjustments for new nurses to overcome is the unanticipated frustrations they encounter in their nursing journey. Although we attempt to prepare nurses to care for patients and instruct them in safe medication administration, it is difficult to prepare them for the “real world”. Unfortunately, these new nurses find themselves unprepared, lost and feeling like they are the only ones experiencing these transitional difficulties. It was with great pleasure, I had the opportunity to review the new book by Lorie A. Brown, RN, MN, JD called “From Frustrated to Fulfilled: The Empowered Nurses System”. Ms. Brown and an esteemed group of nurses shared their journey’s from frustrated to fulfilled. Not only do they share their heartfelt stories, they offer tangible ways to transition from frustrated to fulfilled to empowered. Although each nurse offered a unique account and perspective on empowerment and fulfillment, there was a cohesive message that change starts with ourselves. As challenging as the current healthcare environment is to function within, the message that we as nurses need to find ways from within the not only survive, but thrive. I especially appreciated the personal and transparent stories shared by the contributors. I could relate to many of them, especially Mrs. Watherill’s experience of starting her first job in the ICU. She found herself full of clinical knowledge, but severely lacking in how to cope with tragedies she faced everyday. As nurses we get caught up in the business of “caring”, but often overlook the emotional aspect of our careers. When we pour out so much of ourselves, and are not refreshed, we create a breeding ground for frustration and burn out is not far behind. Not only does each author share their experiences and perspectives, they end each chapter with action steps. Rather than just analyze the problem, tangible steps are offered to engage the reader in positive actions. Almost like a checklist to work from based on the issues you may feel you encounter in your practice. A way to institute change and transformation. If you find yourself feeling frustrated or even have a co-worker who seems to be struggling, I would highly recommend this book. It was very easy to read and offers practical solutions that can be instituted immediately. I would also recommend this book to new nurses starting their careers. Rather than risk becoming unfulfilled and burned out, start now and be proactive in positive self-care activities and actions. Remember, we have to care for ourselves if we want to care for others. You can order your copy at The Empowered Nurses Book. Well, here I go again…. another highly contagious health scare hits the headlines and I find myself doing research. Yup, talking about measles this time. No, I am not paranoid, but as a nurse, I feel its my obligation to stay abreast of current health care concerns – I find it even more important as a nursing instructor. So, I am sharing what I know with all of you! Well, folks, I have some bad news. I don’t usually like to start out with bad news, but the truth must be told. When you are done with nursing school, the learning never ends. Yup, its true. No lies. You spent all this time in school. Moving toward the finish line. Hope and freedom insight. Only to find out, the learning never ends! Now on to the good news – you likely will be more engaged in what you are learning and will likely find much more enjoyment! Crazy as it sounds – its true! As you enter your career after graduation, or even change jobs, there is always new information to be learned. New Nursing Graduates in Specialty Areas? As a nursing instructor, I get to hear a lot of dreams and goals from my students. I actually encourage it. It helps give them direction and really start thinking about their careers. As with most dreams, they are lofty. Although I encourage dream building, I also try to encourage them to be realistic. I like to remind them that dreams and goals are often obtained after a journey and usually some sacrifice and hard work. Being a nursing student is tough work – all those hours of studying, dedication and hard work….and that’s even before you get accepted to your program! But that hard work continues as nursing school trudges on and each semester presents it’s challenges. But sometimes, we just have to laugh. It is the best medicine right? So as the semester comes to a close for most, I couldn’t help but think about my poor, tired and weary students who are counting the minutes to winter break! I came across a funny little video about things nursing students NEVER say and I thought about what my list would look like…. In an attempt to keep up with this current outbreak, I will be posting updates on this new page. If you are looking for general information regarding this disease, you can read all about it on my previous post – What is Ebola? There you will find basic information about the disease, how it is transmitted and other pertinent data. Please check back often as I will be updating this page as new information becomes available. It is IMPERATIVE that we stay informed, especially the health care workers. We are dealing with a viral outbreak that is unprecedented. I will also post links to where I have obtained the current information and my analysis of the information, if warranted. 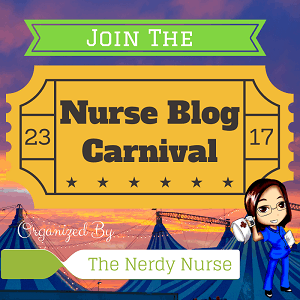 I had the opportunity to participate in a discussion regarding the current Ebola situation with some other nurse bloggers. You can watch that video HERE.